I had met Tenzin in Leh, who had come there as part of a documentary film crew shooting a film about a Tibetan who had immolated himself in Delhi. Tenzin is a second generation Tibetan, born and raised in India, who like most others has refused to take up Indian citizenship. In loyalty to their dream of a free country, a home they can return to. The high altitude mountains, barren rolling plateaus, breathtaking water bodies, nomadic life, galloping horses, an ingrained deep seated spirituality, Buddhism – of Tibet and Ladakh have had a strong hold over me for years. During my restless years, I desperately longed to be there. Now, in a more settled state of mind, I look forward to be there whenever I feel rootless. 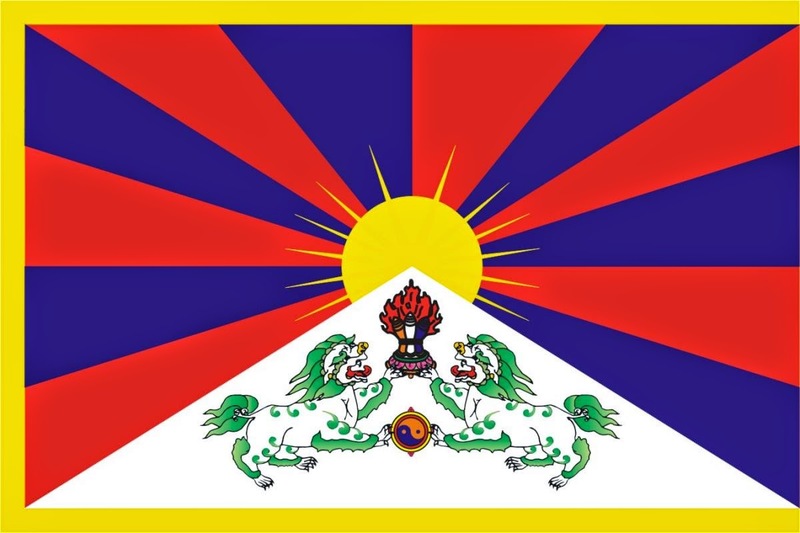 But in my ignorance, I had mistakenly come to believe that my sense of rootlessness is perhaps similar to how the Tibetans feel in an adopted country. Until I read Tsering Wangmo Dhompa’s book, A Home in Tibet. Considered the first female Tibetan writer, Tsering has poetically, eloquently and without judging described what life is for a Tibetan in Tibet and outside it. How, Tibetans, despite a long history of atrocities by the Chinese government have managed to continue with the same equanimity and spiritual outlook towards life, how the younger generation who wants to assimilate with the majority Han Chinese society are discriminated against as ‘tribals’ (perhaps a shade better than the Uighurs), how both government and corporations are looting the earth and the mountains they held sacred for centuries, how the government is force-implementing schemes without understanding the needs of the communities. The Changthang region of eastern Ladakh is an extension of the trans Himalayan Tibetan plateau. The Chinese invasion of the region that is called Tibet has been instrumental in inculcating a sense of nationalism amongst the various tribes and those who escaped from there. More so with those who escaped, because away from their mountains and land and living as a ‘refugee’ in any adoptive country, they feel the absence of a home more acutely. Binding all these tribes together prior to the invasion, those still living in Chinese occupied Tibet and Tibetans now living in various countries is one key factor – His Holiness Dalai Lama and their infallible faith in him. Despite urbanization, like the Buddhists in Ladakh, Tibetans are still deeply rooted to their spirituality and spiritual guides in all aspects of their lives. With the current Dalai Lama not choosing his successor, how that void will affect the lives of Tibetans everywhere and their fight for an autonomous homeland is yet to be seen. In solidarity with them and the fact that China is environmentally dangerous, I will perhaps never choose to travel to the country or to Tibet for leisure. But then I am still lucky, because as a free citizen of this country (so far), I can travel to the high mountains of Ladakh and also live there whenever I feel restless or rootless. Perhaps not so with Tenzin and his fellow Tibetans, whose hope for a free Tibet burns strongly as ever. And in knowing this, I understood just how blunt and insensitive my questions to him were. Because however hard I might try, I will never really know what it is to be a Tibetan.